It’s original character. I drew it as a mascotte for one russian anime site, but she was declined. So, the main idea of the character, that she appeared due to nuclear reaction, that something or somebody beautiful can appear due to something dangerous. 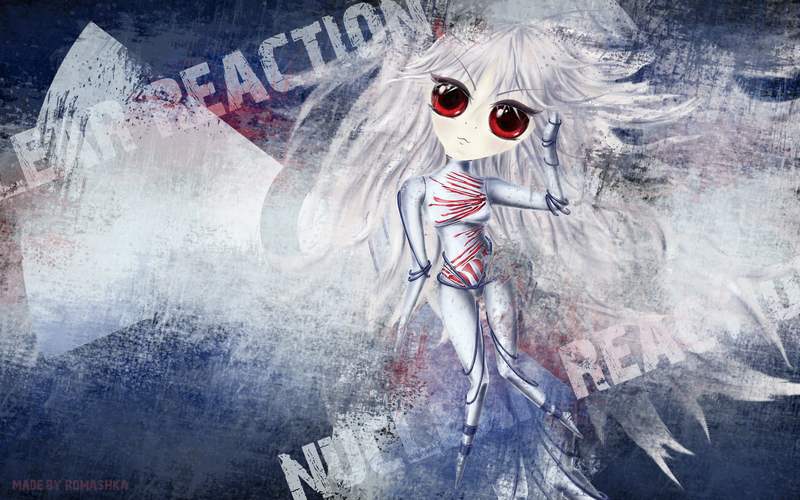 Her eyes definitely experienced some nuclear reaction. ^ no argument there, those eyes are so wonderfully drawn, I rather like this piece and glad it's been able to linger thus far. it's a rather niece piece and looks different from the other stuff I've seen on this site.